There are many different types of workout splits you can use to achieve your goals. But as you probably already do know, fitness is highly individualized. There is no perfect workout routine that is ideal for everyone in every circumstance. So which workout split is right for you? Today, we are going to cover 3 amazing workout splits you can do to maximize your fitness results. 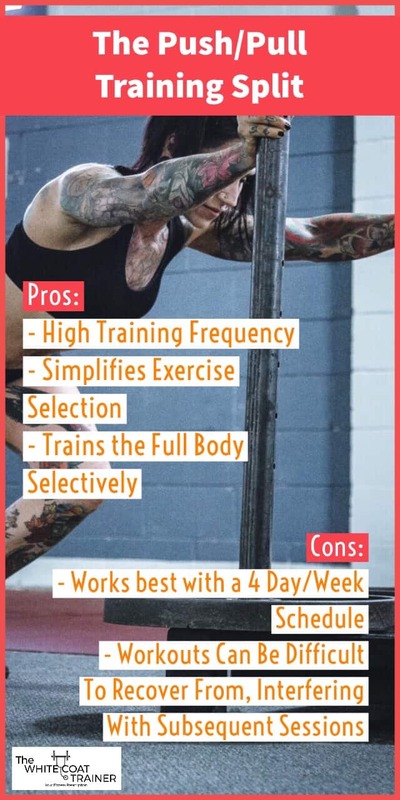 In Part 1, How Often Should I Workout [Determining Your Optimal Training Frequency], we discuss the pros and cons of training more or less frequently and tell you what the optimal number of workouts, per week, you should be aiming for. It is important to note that there are many different variables that must be taken into consideration before determining which split you are going to use. Just as we discussed in Part 1, you must determine how often you can workout on a weekly basis. If you can only exercise twice a week, then you will have to get creative with the split that you choose. A decreased training frequency will benefit more from upper/lower splits and full body splits. Are you an absolute beginner, or have you trained before? Beginners benefit more from full body workout splits over the others. Intermediate trainees can use any one of the splits listed below. Are you trying to build muscle? Look a certain way? Simply exercise more? If you don’t have specific goals, then the split you choose won’t matter that much. However, if you have a specific goal, it is important to choose the split that will allow you to customize your training to achieve that goal. Alright, now that we have that out of the way, let’s cover the actual splits themselves. First off is the full body split. This is by far one of the, if not most effective training splits for the vast majority of the population. The full body split makes you train your entire body at each training session. Don’t worry, it is not as gruesome as it sounds. You don’t actually train every single muscle in your body every day. Instead, you combine exercises that train muscle groups of the upper body with exercises that train the lower body in the same session. For example, one day you may do Squats, Bench Press, and Pullups and on another day you do Overhead Press, Lunges, and Romanian Deadlifts. Full body splits are ideal for beginners or novices who are new to lifting and need to practice the major functional exercises often. More advanced athletes can also use full body training splits, but they need to focus on balancing out the exercises that are used on a weekly basis. Total Body training splits are ideal for beginners who need to practice the exercises multiple times per week. Only 1 or 2 exercises are needed per each half of the body to elicit a proper stimulus. This makes each workout easier to recover from and minimizes soreness. In addition, the workouts can be tailored to be of short duration if you do not have a lot of time to spend at the gym. Full body splits require you to focus only on the major exercises and thus limits the amount of exercise variation you can use in your program. As such, it is possible to completely neglect one of the critical functional movement patterns such as the horizontal pull and smaller muscles such as the biceps and posterior deltoids. 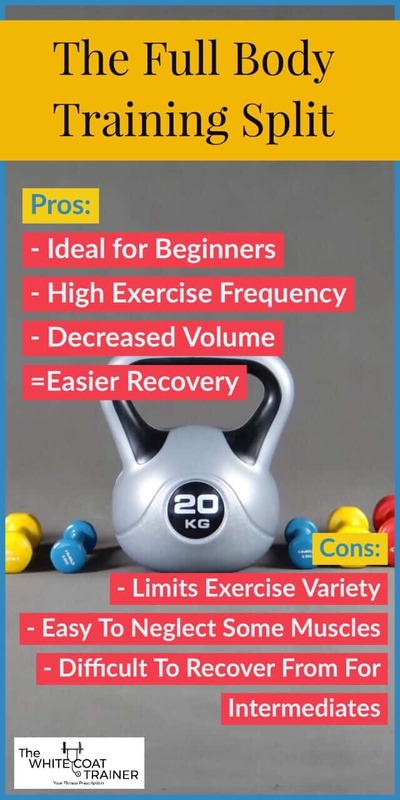 Lastly, someone who is no longer a beginner may need to pay careful attention to exercise selection, as one workout can interfere with the recovery of a past workout. I highly recommend the full body workout split for most people, especially beginners. The vast majority of my own personal training uses full body splits. One of the most popular training splits is the upper lower split. What this means is, that you train all or some of the major muscle groups in the upper body on one day, and then all or some of the major muscle groups in the lower body on another day. For the upper body, you are generally training the shoulders, the chest, the triceps, and the many muscles of the back. For the lower body, you are training the quadriceps, the hamstrings, the glutes and the abdominal/core muscles. The upper/lower split is ideal for anyone who can train 4 times per week, but it could also be done if you are training less frequently. I have personally used the upper/lower workout split for many years with great results. Upper/lower splits simplify your training, as you are only focusing on one half of your body per day. This makes your warm-up easy to tailor, and decreases the number of exercises you have to do per day. In addition, the upper/lower split is ideal for anyone who wants to increase the number of times they train a specific muscle group, as you have two dedicated training days for each half of your body. The upper/lower split can be difficult to recover from. Since you are hammering one half of your body each day, you may notice increased fatigue and soreness that can interfere with the subsequent workout. With that said, the upper lower split is a great option for intermediate level trainees. A lot of popular training programs such as 5/3/1 use an upper lower split. The third most popular workout split is the push-pull split. Rather than focusing on which body parts you will train on each session, the push-pull split focuses on the actual exercises instead. Any exercise that is considered a push will be trained on one day, and any exercise that is considered a pull will be trained on another. So in other words, the push-pull training split is a specific variation of the full body training session. The Push muscles are located in the front of your body, while the Pull muscles are located in the back. Similar to upper and lower body split, the push/pull workout split allows you to train a few muscle groups multiple times per week. It also has the benefit of being a full body workout session as you train both upper and lower body exercises in one day. This routine works well for individuals who can train 4x per week. The volume for each individual muscle group may be too low if you cannot consistently workout more than 3x per week. There is one final training split that I would like to discuss. 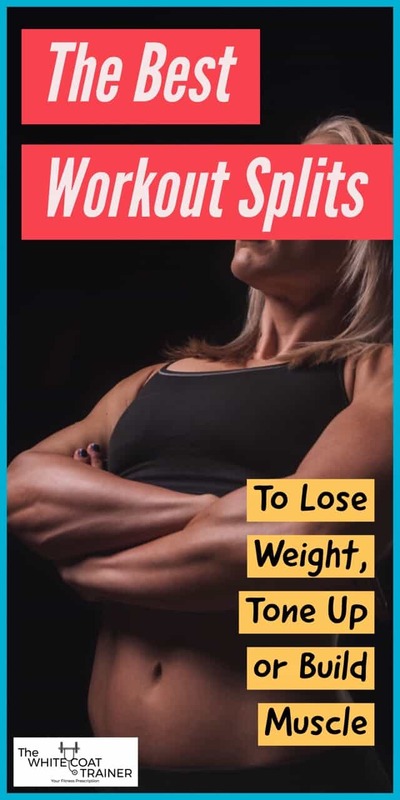 It is known as the bodybuilding split. This is by far the most common split done in gyms across the nation. Some have even dubbed it the bro split. It’s exactly what it sounds like. Each training session is dedicated to one or more specific body part. For example, Monday is Chest Day, Tuesday is for Back and Biceps and so on and so forth. Since each body part has its own day dedicated to them, this type of training requires you to go to the gym approximately 5-6 times a week. Bro splits are popular among the bodybuilding crowd, as most programs that you find online or in fitness magazines utilize this workout split. I personally used a bro split for the first 2 years of my training before I knew any better. The bodybuilding split allows for maximum focus on one dedicated muscle group. This makes training very simple and specific and allows you to utilize a wide variety of exercises. If your sole purpose is to build one specific muscle group such as the biceps, then this type of training is ideal for you. Bodybuilding splits are extremely time-consuming and do very little to improve your athleticism and fitness. 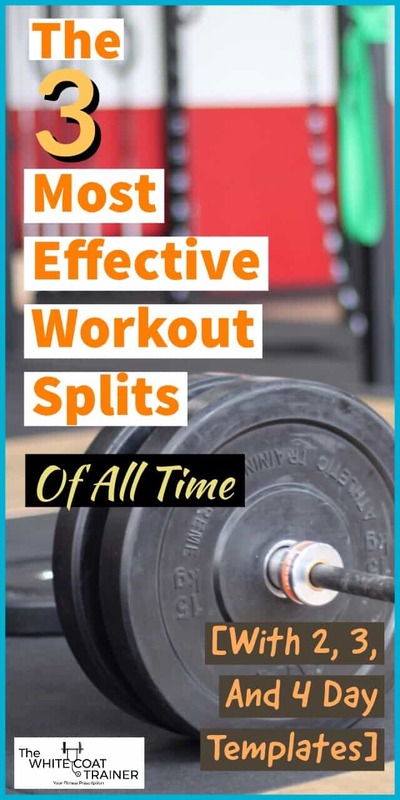 This split is not ideal for busy individuals who have limited time to spend at the gym. If your goal is to improve your fitness and your performance, then this style of training should be avoided. I highly recommend that you avoid using a body part split in your training. Okay, so now let’s go over a few examples of workout splits depending on how often you can go to the gym. We will give you some real examples of splits that you can do if you can train 2, 3, or 4 times a week. If you are reading this, you are probably a busy professional. Therefore, our goal is to provide you with workouts that can be done in less than 45 minutes per day. If you are even shorter on time, just perform the first 2-3 exercises listed. First, we will start with the 2-day workout split. I know that some of you are super busy and you can only afford to go to the gym twice a week. Working out twice a week won’t give you the absolute best results, but something is always better than nothing. Thankfully, you can utilize all three of the recommended training splits by working out twice a week. It is ideal to have at least one day off in between sessions, but if you have to work out on 2 consecutive days, so be it. The 3-day workout split is one of the most popular because it is easy to adhere to. In addition, it gives you enough time out of the gym so that you don’t feel like you are always working out. 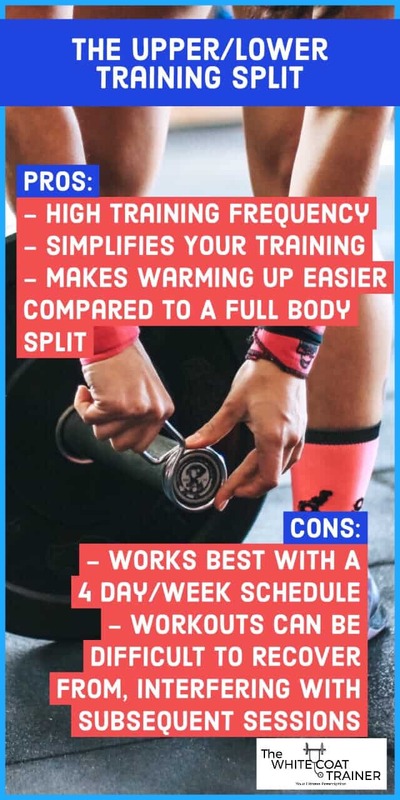 Any of the three training splits can be done using a 3-day schedule. Here’s how. 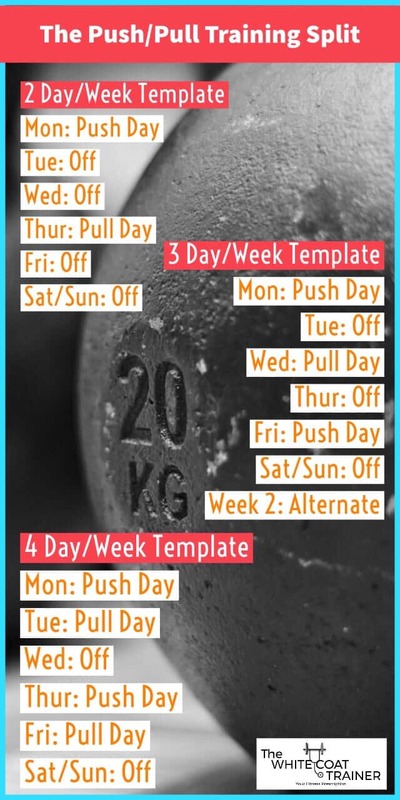 Week 2: For the following week, you must alternate the workouts: I.e: Day 1 is a Pull Day, Day 3 is Push Day and Day 5 is Pull Day. As you may recall from the first post in this series, the ideal number of workouts per week is 3-4. 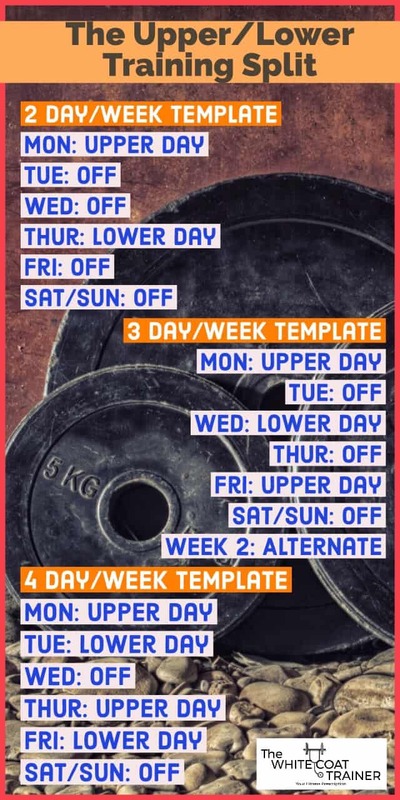 4 day workout splits are by far the easiest to program as every week will be structured the same way, and you will effectively hit each major muscle group more than once. The ideal set up for a 4 day split is 2 days on, 1 day off, 2 days on, 2 days off. The 4 day full body training split is what The Best Workout Template For Busy Professionals is based on. If you are looking for a ready-made workout template that takes advantage of a full body training split, be sure to check out our Strength Program for Busy People. It’s a 15 week training program that conforms to your busy schedule. It doesn’t matter if you can only train 2, 3, or 4 days a week. 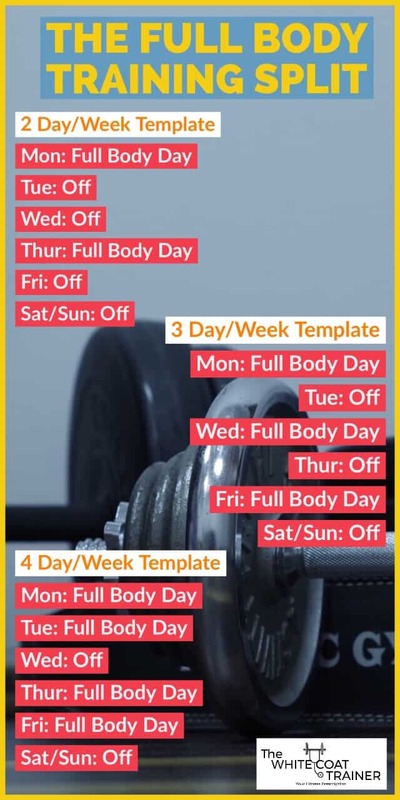 The template will allow you to modify your training as your schedule sees fit. Best of all, the workouts are designed to only last 30 minutes a day. P.S. 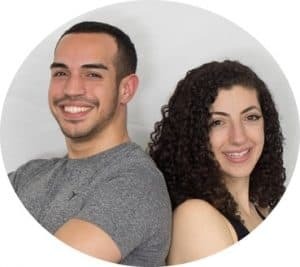 There is a male and a female template. The Bottom Line On Workout Splits: Which is The Best Split Routine? So which split is right for you? It depends. If you are a beginner, then the full body split is the obvious choice. If you are a more intermediate trainee, then you can use any of the three approaches. I personally think the upper/lower is the best split routine for intermediate trainees, however, the full body split is a close second. But the bottom line is this three of these approaches work. It doesn’t matter which one you choose, all that matters is that you adhere to it. Knowing which of these splits to pick will depend on your training schedule, and what you can adequately recover from. Only through trial and error will you identify what works best for your body. In addition, if you get bored from your training, you can always choose a different split with a different training frequency. That is the beauty of exercise. Have you ever done any of these three splits? Are you guilty of having done a body part split early in your training career?